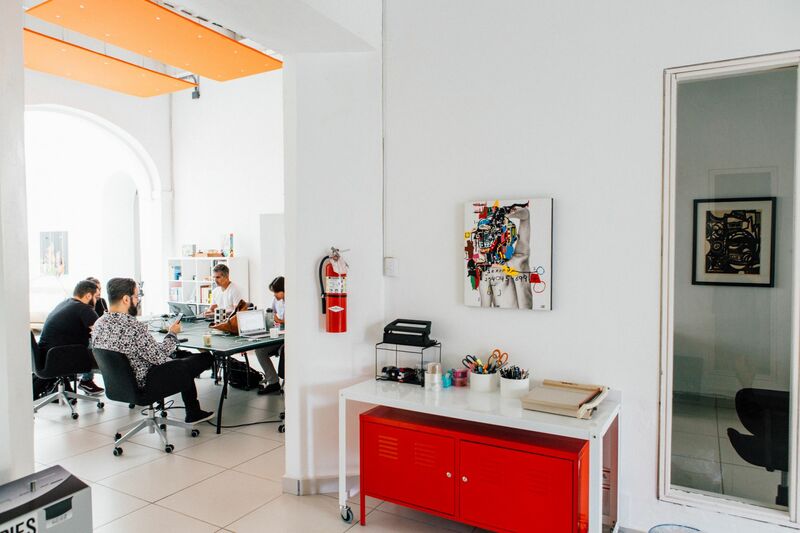 Piloto 151 is the first coworking space in San Juan, Puerto Rico. As a leader and supporter of the local tech ecosystem, we provide virtual offices, soft landing packages, staffing services and more to help our community grow. Join our community of doers – entrepreneurs, developers, and professionals from multiple industries – and enjoy a beautiful work environment that inspires innovation, creativity and collaboration. From access to a community of like-minded individuals, to fast-tracked permitting and soft landing packages, we offer a wide range of services to run an efficient business operation in Puerto Rico. Our virtual office is the starting point to help you grow. Are you a member of Piloto 151 Old San Juan? "A beautiful space with a calm energy"
I have had two meetings involving 4 people in conferences rooms at Piloto 151. The space is sunny, well-lit, and has everything I needed. It is a fine space to hold a meeting with people you may not know very well. They have nice big white-boards. It is well-located in the center of Old San Juan, an elegant and ancient neighborhood, but the inside is thoroughly modern, spacious, and, due to an interior light shaft, very well-lit. The overall theme is a modern white, with some plants and books adding a touch of color. It seems to have a dedicated assistant at all times to answer questions. Thank you Robert for visiting our space and for a great review! 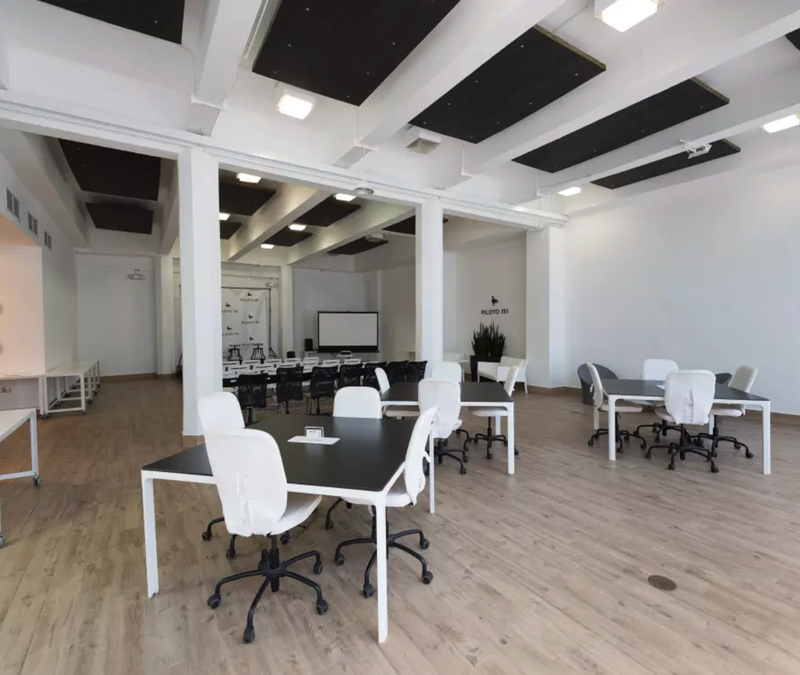 "Well Thought, Designed and Best Co-Working Space "
Located at the heart of historic Old San Juan, Piloto 151 offers a space for your ideas to flow in an environment designed to do so. Personnel is very professional and eager to help you every step of the way. Facilities are neat and second to none. You feel treated as if you were tended by a professional hotel concierge. Wether you drop for one day, or you set up shop for your business, you'll have the tools you need to carry on your day: High Speed Internet, coffee, very much needed and powerful A/C for a tropical island, and the location is hard to beat, near the best restaurants, shops, pharmacies, groceries stores, banks, touristic sites... I personally can't think of a best setting as a co-working space! "Work better than in your home!!!" Piloto 151 is an excellent coworking space were a lot of enthusiasm and passionate about technology and coding come to interchange ideas and projects. Every Wednesday is "Hack Night," an event for coworking for the coding and programming community in the area metro of the island. Hack Nights is one of the best activities auspices by Piloto 151 were, also, to share ideas, concepts and get help from other programmers you can eat pizza and have a beer for free. Piloto 151 is a coworking space that helps the technology community to have a place to explore and innovate between colleagues of different understandings. Is a location were you can work better than in your home!!! I started attending this location from the time the space opened. Back then I was in college and got there because of the various types of events they hold. They have a great location, that watches over the Plaza de Armas. The staff who manage the space are great and very attentive. Internet is very reliable and consistent. The virtual office my company rents is great for my team and includes three day passes, and an hour in the conference room, plus we also get invites for members-only events. Is simply lovely to work here, and they always make you feel comfortable. "Perfect space in the heart of Old San Juan!" This is a great space in the heart of Old San Juan. 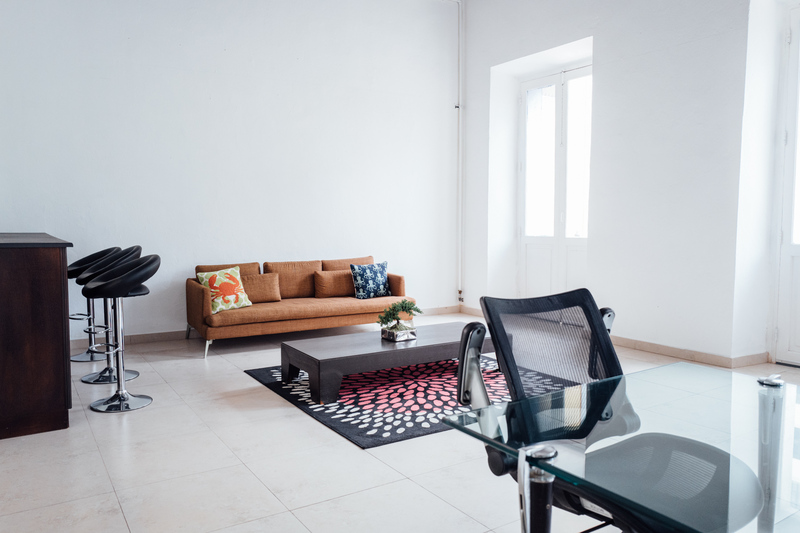 If you live in PR and need reliable internet, looking for conference rooms, or on vacation but need to work remotely, you should definitely check out Piloto 151! There are plenty of parking options nearby and the office is located in Plaza de Armas. On the first floor, there's a large conference room and seating for special events and networking opportunities that are hosted often. I came by with a pass for a few days and it was so worth it! I could focus and take my calls outside (as I defrost from the freezing AC). Plenty of places for you to meet, work and take calls. I highly recommend that you check them out if you need a workspace in Old San Juan. As a remote worker, Piloto 151 is the best investment I have ever made in my entire life. Piloto provides me with all the tools necessary to thrive in my field. The wifi is astounding and reliable. Even if my electricity goes out, Piloto stays up and running. This is especially important for what I do. If I am unable to connect to the internet, I am unable to do my job. I am comfortable knowing that I can access my workstation 24/7 and know that Piloto will be up and running as I need to work every day. The Old San Juan location also allows me to be motivated and inspired on a daily basis. This can never be matched even if I work from home. Alex, thank you for trusting us with your work. Means the world to us. "Perfect place to get work done!" Such an amazing location in the heart of Old San Juan! Courteous staff and great environment. Theres something about the place that gets you in the best creative mood. Perfect for meetings too! The place is very quiet so you can focus on the important work. Also they have a variety of spaces if you prefer to be in a more private setting. I like the spaces with wide open glass windows where you can see the other side of the room. Other spaces ive visited are very claustrophobic, but here I feel like so relaxed! Excited to work on a project! And Antonio is such an amazing Piloto friend. Glad you're part of our community and trusting in us to do your best work. "The highlight of any day"
OMG! It’s Jonathan. We love Jonathan. Especially right now. "Excellent work space in the heart of Old San Juan"
Prior to moving to Old San Juan I contacted Piloto151 to inquire about desk space. All of the staff were very helpful in getting me set up so that when I arrived in San Juan I only needed to choose a desk and start working. It was a seamless transition and the staff were and are always on hand to help out, answers questions or just to have a chat. The members at Piloto151 are great group of people and the surroundings are bright and modern even though the building is several hundred years old. I would not hesitate to recommend Piloto151 to anybody seeking co-working office space in San Juan. Piloto 151 is by far the all around best place to co-work on the island! Regardless of which of their locations you visit, the space and staff completely set you and your business up for success. Everything about piloto 151 is amazing - the space, the community, the people, the staff, the island, the events, the food, the culture, the ambiance, the perks... it’s absolutely the best place to be to build your successful business. Piloto 151 is by far the all around best place to co-work on the island! Regardless of which of their locations you visit, the space and staff completely set you and your business up for success. Ms. G is by far, all around, the best. :) Thanks for the review! "Gigabit speed Internet and a Jura coffee machine"
Legit super fast internet, fresh ground coffee machine, and lawyers, lot's of lawyers. Stylish and spotless lounge. knowledgeable front of house, IT guys and sweet conference rooms. I started with a few hours, now have a full time office and use the on site legal team at least once a week. The space is very friendly and learning about a game changing startup co located here is an everyday event. Co working spaces have been redefined in my book by the class and function of Piloto 151's Santurce Suites, not only are they top of the line, the price is unbeatable. I love it. The Piloto Suites are an amazing place to work with many various personalities. The staff are even more amazing and are more than willing to help accommodate anything we need. This office space has the best of every amenity you could possibly want. The offices are extremely spacious and are extremely modern. Most of us spend a huge proportion of our lives at work, so naturally it is important that we have a good environment to work in. 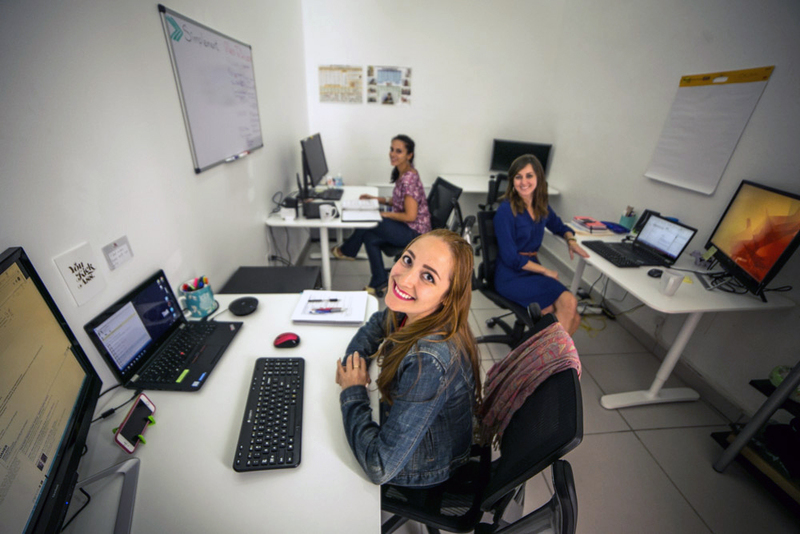 The benefits of a healthy work environment like Piloto is what sets this office apart from many others ... By creating a positive, safe and healthy environment for employees, you can increase morale, improve your employees' work-life balance and, in turn, positively impact your business. Piloto embodies all of these aspects in providing us the best space possible. 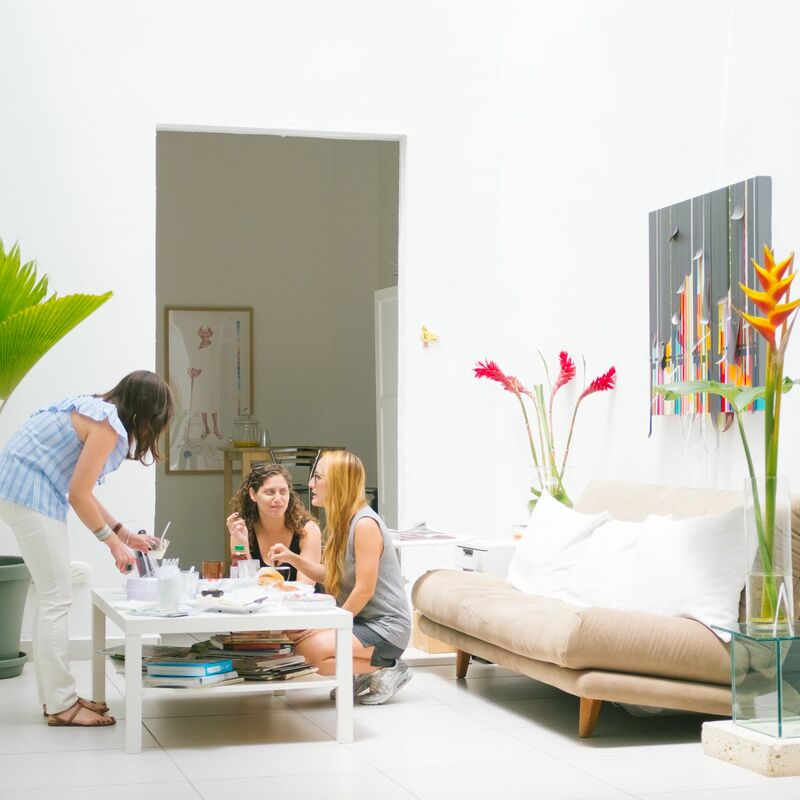 Piloto151 is a must visit location for anyone visiting or moving to San Juan. I first moseyed in a couple years ago to see what the scene was like. I was in my 'scoping out PR phase' and wanted to get a sense of what the facilities were and to find some help getting a sense of the lay of the land. The staff was incredibly helpful and the facilities were great. Wifi. Backup generators for those moments when the island goes all Caribbean. Great AC. Great patios. Limitless coffee and natural lighting. Personally, I found the mix of locals, returnees, and new and old ex pats ideal for getting a good mix of perspectives on all that the PR startup/small business/solopreneur community has to offer. Now, more than a year later, I still come here because I get more stuff done here than...anywhere else really and I have more of those serendipitous learning opportunities that helps you figure out how to do things better. Great post Horace! Thanks again for being part of our community. "Amazing space but more importantly amazing people." Piloto 151 exists in the rare vin diagram of incredible co-working space and an actual fraternity of helpful entrepreneurs. If you want the suppprt system of an incubator without the exclusions or complex funding applications...If you want the opportunity to grow a business with friends in the most special place on earth....RUN, don’t walk to Piloto 151. The Piloto team will guide you through launching in Puerto Rico while serving both the community and the world market. If you have any doubts about the opportunity I will be the first to tell my experience. I have run startups in Chicago, New York, San Francisco, Hong Kong, and Shenzhen and no team has delivered like Piloto 151. 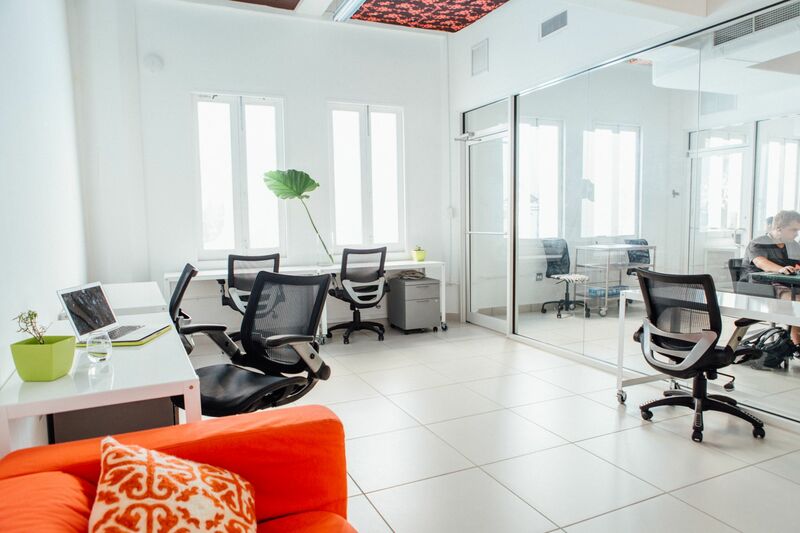 "Great Co-Working Space in the Heart of San Juan!" 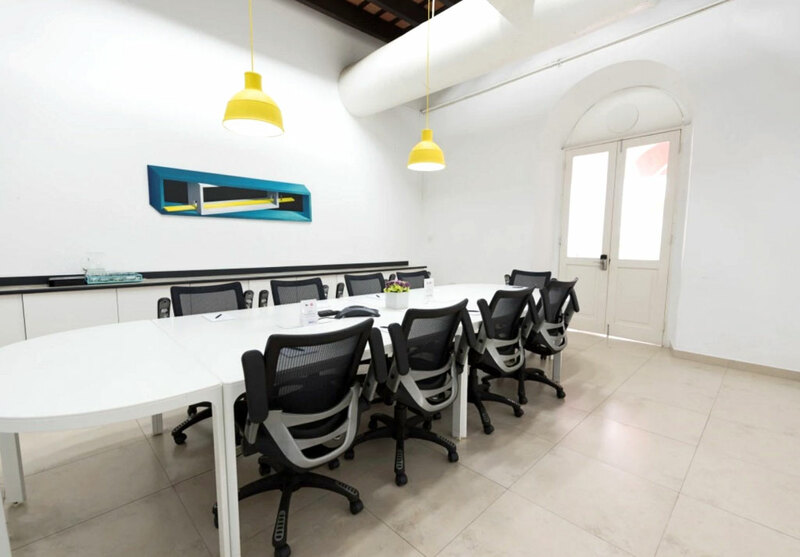 Piloto 151 provides an excellent work environment in a great location in San Juan - the office has close proximity to tons of restaurants and bars. The office amenities are brand new and well taken care of and any issues are quickly addressed. The staff (Chana, Stephanie & team) at Piloto make sure you have what you need and often goes above and beyond to create a sense of community in the workspace. Happy hours and doughnuts aren't bad perks either! I highly recommend Piloto if you are looking for office space in the San Juan area, you won't be disappointed! I have only worked in this office space for a couple of months, but I feel extremely comfortable here. The downtown location puts you right in the heart of beautiful architecture, awesome food, and cultural hotspots, and the office itself is equally striking. 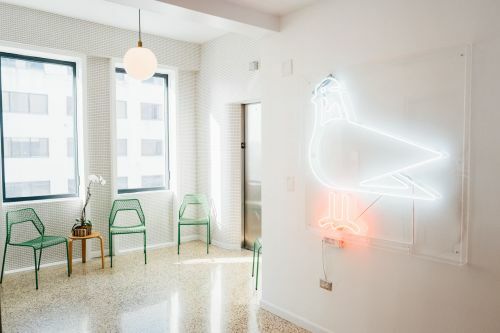 The decor is modern, fun, and spunky, keeping the energy high, alongside spacious conference rooms, always-clean restrooms (and everything else is 100% pristine, too! ), and convenient amenities. The staff members at the front desk are the friendliest and most attentive you will ever meet, and everyone else around the office is pleasant to be around. Not to mention, there's an amazing selection of coffee, tea and snacks at all times! Seriously, collaborating with Piloto 151 would be a wise decision for you and your business needs. I highly recommend working here. It won't disappoint. Seriously, Juan, you are EXCELLENT! "Piloto 151 is a wonderful place to work! " This is the fourth time I'm trying out a co-working space and so far Piloto 151 has been my favorite co-working space with a super friendly staff that make it an extremely accommodating place to not only work, but live. It has a range of work environments, plenty of plugs and space, and super fast internet. They bring tasty food and treats, happy hours, plus there is free coffee and water. It's been a wonderful network to have. If you're looking for a co-working space that's convenient to everything and full of friendly people, Piloto 151 is a the best spot! Piloto151 is easily the best co-working space I've used. From the events, to the staff, to the beautiful office-- it's an amazing place to work. Stephanie and Chana are incredible at working with members to make sure their needs are met. Anytime there is an issue, they work diligently to fix it. They even managed to have the office back up and running shortly after the biggest hurricane in Puerto Rican history hit the island- before many of us even had power in our own homes. If you're considering using Piloto151 as your new office space: don't think, just do it! You will not regret it. Jackson is.... "simply the best...better than all the reeeeest"
"Top notch to get some work done! " Because of my job I travel a lot, and sometimes don’t have enough time to sit down and work on my personal finances, schedules, etc. That’s why Piloto 151 is such a lifesaver. I can just drop by, grab a day pass, sit down to work and take advantage of the high speed internet, complimentary coffee (really nice coffee machine) and helpful staff. Carlos even helped me set up my MacBook and Apple Watch during one visit. And of course, I always try to drop by some of my favorite restaurants and taverns that are around the corner from Piloto! Great place to get some on the road work done! Thanks for choosing Piloto 151 to get some work done! "Great office space for when I am in town." As a Sr. Security Consultant who travels constantly for on-site deployments and has to be on call even during vacation travel, it’s always a major plus to have a location where I can sit down and just work. With it’s high speed fiber internet connection, secure network, attentive staff and all inclusive day pass, I always have a place to go and work when I return to Puerto Rico to visit friends and family. Having a wide variety of places to eat and hang out doesn’t hurt either, as well as awesome coffee shops to keep my energy up. All in all, Piloto 151 is definitely a one stop shop whenever you need to arrive and start producing. "Piloto 151 has an excellent space"
Old San Juan is a very nice area with a great ambiance, plenty of small shops, restaurants and beautiful architecture. The area is close to the national park for the old Spanish fort which has huge green areas for relaxing or riding a bike. 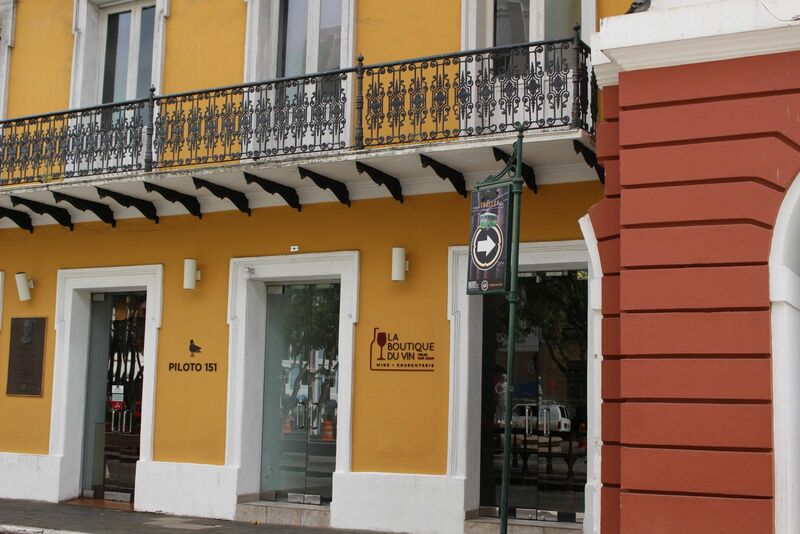 Piloto is located in the middle of Old San Juan and provides a great co-working space. The office has 3 outside areas, a great conference room and 20 foot ceilings. In addition there is a huge meeting space if needed. 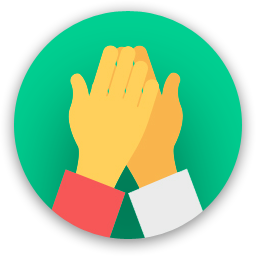 The internet is strong and Piloto also has on site tech support, which comes in handy!I would definitely recommend Piloto. Mr. Allen! You are pretty darn awesome. Thank you. "Whats not to love about this place"
Whats not to love about a place where you can work in a creative, stimulating and productive environment? A place in the old city of San Juan where beauty, culture and art are everywhere you look. A place where its "easy" to work because its comfortable, well thought out, secure and very inviting. To some people its home away from home... Yes, its a great place to work but the best thing for me is the diversity and quality of the people you meet here, the new breed of professionals that are transforming Puerto Rico's economy. I would not work anywhere else! "A must for anyone new to Old San Juan"
Moved here just before New Years a few years ago and even though they were closed for the holiday, Sofia met me to show me around and get me setup so I could use it immediately. Not knowing any spanish upon moving here they helped me organize settling in and communicating with some agencies that spoke only spanish. Being in a space with other like minded entrepreneurs made the social life transition that much easier as well as there were plenty of people to get to know and hang out with. The group I met there originally still makes up a large part of my social circle 2 years later. "Best Co-Working space in Puerto Rico"
I started my business over 4 years ago, setting up my office in Piloto 151, San Juan Campus. During this time, piloto has given my company an efficient platform to operate and do business in the US and PR. Besides being in one of the most beautiful plazas in Puerto Rico, Piloto's old colonial building, furnished with its modern office set-up, creates an great enviroment to work and meet new people. Another great advantage is Piloto's event calendar. Its monthly activities and gatherings bring together interesting groups of proffecionals, making it ideal for Networking and business development. All together, Piloto is a great 5 Star Co-working space. 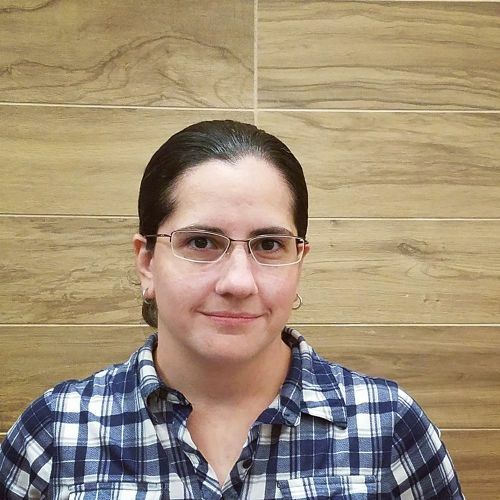 "Piloto 151: best decision I made"
Selecting Piloto 151 as an incubator for my business was one of the smartest decisions I made when I decided to locate our startup in Puerto Rico. Piloto provided more than a soft landing. They facilitated our explosive launch. Within a few minutes of visiting their site for the first time, I had an affordable place to work in one of the coolest settings in the world, historic Old San Juan. They educated me on all the local registration and permitting processes and then handled all the details, allowing me to focus all of my attention on executing our business plan. Two years later, our company is thriving. Our company now includes some of the most talented software developers on the island. Our clients in the states have noticed the PR difference and we continue to grow! We've emerged from startup status and relocated to our own space. But, I will always keep my membership at Piloto 151 active for the other member benefits and the rich networking opportunities. Thank you Team Piloto 151! I’ve worked in coworking spaces in LA, Manhattan and globally. This has been by far my favorite! Cool, friendly people, inspiring spaces and devastatingly reliable internet, even in the early days after the hurricane when most places barely had power. I’ve made wonderful friends here, and I’ve gotten great work done. I couldn’t ask for more. I also used Piloto as a resource to land in PR - they gave great recommendations for everything from internet service providers to dry cleaners. It’s a truly supportive environment without being suffocating or distracting from my daily work. Plus the location is excellent. 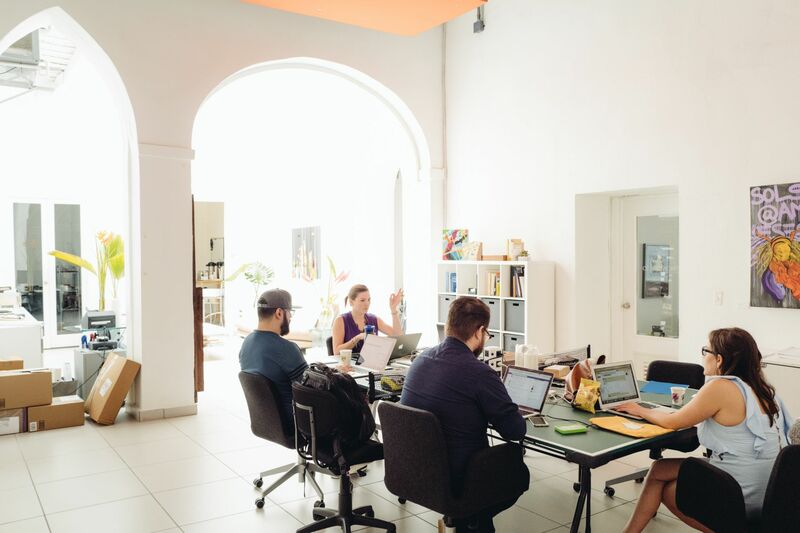 "Best coworking space in San Juan"
I had initially set up my office in another shared working space in San Juan. I quickly realized I had made a terrible decision and began looking elsewhere. When I called Piloto 151, Chana told me they had a private office that may be perfect for me in their Old San Juan location. I jumped at the opportunity and haven’t looked back since. If you haven’t been to their Old San Juan location I highly recommended checking it out. It’s a historic colonial building with tons of natural light and plenty of nooks to settle into for the day. The staff is attentive and always ready to help you with whatever you may need. The office is conveniently located in the center of Old San Juan, close to various restaurants, bars, coffee shops, and historic sites. For those that live in the neighborhood, like me, the walk to work is usually no more than 5 minutes. I take full advantage of the 24/7 access to the building to stay late or come in on the weekends when I need a quiet place to study. Request a free day pass and come check this space out for yourself! 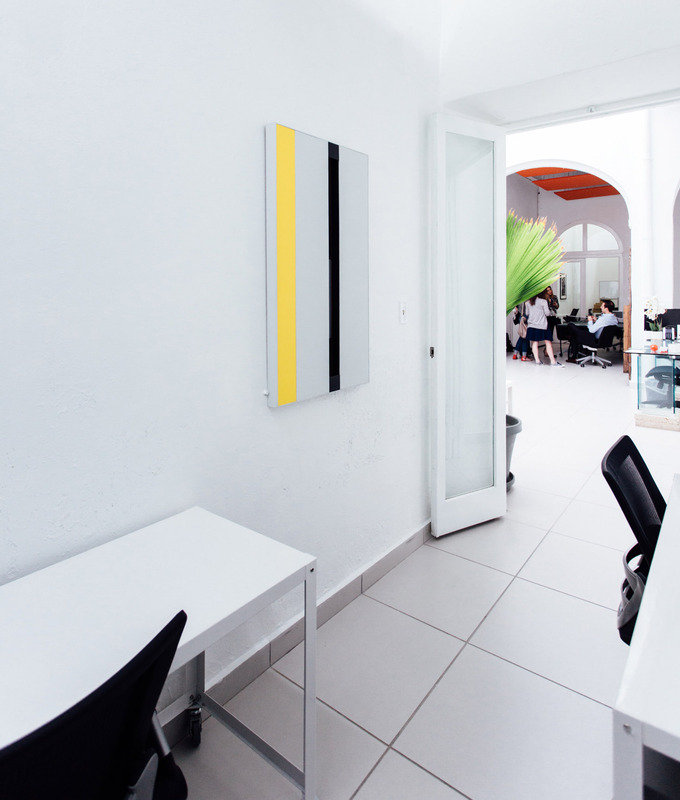 "Piloto 151, an exemplary co-working office space"
'Piloto 151' is the first co-working space in Puerto Rico. It's owners saw the opportunity before in even materialized. In this sense, it is a trailblazer; others simply follow.The passing of time has validated its co-working business model to include other services than just office space. From incentives procurement to home-feeling amenities perks, 'Piloto 151' has it all. 'Piloto 151's' staff is radiant. Always quick to relate to people and provide optimal customer service. 'Piloto 151's' culture promotes idea-sharing, flexibility and innovation, that does not get lost in the concept stage, but nourishes the creation of new businesses. Likewise, this can be viewed in the numerous seminar, conferences, and talks it hosts regularly. The company I work for is located in 'Piloto 151's co-working offices in Old San Juan. When the hurricanes struck on September 2017, 'Piloto 151's' personnel quickly offered us an office space in its Santurce local. This was done while 'Piloto 151' recovered from the hurricanes' passing, and allowed us to continue our business. Clearly, this act showcases 'Piloto 151's' service quality and commitment to its members. Indeed, if you need a place to start-up, accelerate your ideas and bring them to market, or you are a foreign investor looking to open shop in Puerto Rico, 'Piloto 151' is the place to go and be! I’m a person who values atmosphere to be able to work. It seriously matter in order for me to get ‘in the zone’ and be creative. I’ve been here quite a few times, always able to get my work done. For Piloto Old San Juan, the location is fantastic and the staff is great! They’re super helpful, attentive and always on top of everything. The internet is lightning fast, super reliable. The space is gorgeous, so many different spots to hunker down and set your space for the day. Great space, fantastically fast internet connection, and delicious food all within reach in Old San Juan. "Great Space, Internet and all that worthless without Great People!!!" Piloto 151 is by far the best Co-Working Space on the Island. What set's Piloto apart is not only the location, fabulous internet etc. But their staff. 100% completely Bi-Lingual, well connected to all sorts of other professionals on the Island and genuinely helpful . Little story -- one Friday night around 8 p.m. I received a call on my mobile from the manager Chana - She was calling to let me know that the cleaning people had noticed that i had left my wallet on my desk. She arranged for the folks to wait until I could get there so that wouldn't spend my weekend in a world of hurt. I can tell you at other places nobody would have cared. We were actually looking at getting our own space as we were rapidly growing. 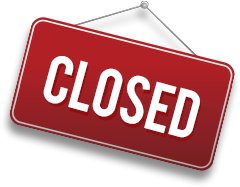 Turns out we realized that we wouldn't be able to duplicate the fabulous collaborative environment like we had at Piloto -- and so we are still here and will be for quite some time to come. Roberto! We are worthless without you, our super member! "The perfect setting for a creative mind"
Piloto 151 is a perfect combination of design, functionality and multidisciplinary environment. The space is well thought out, with crafted area to get as much or as little privacy as you need. Wether you are looking for a brainstorming setting among young professionals or a quiet space to carry out your work, I have to say that Piloto offers both in an effortless way. The staff is very welcoming and the services are right on spot. 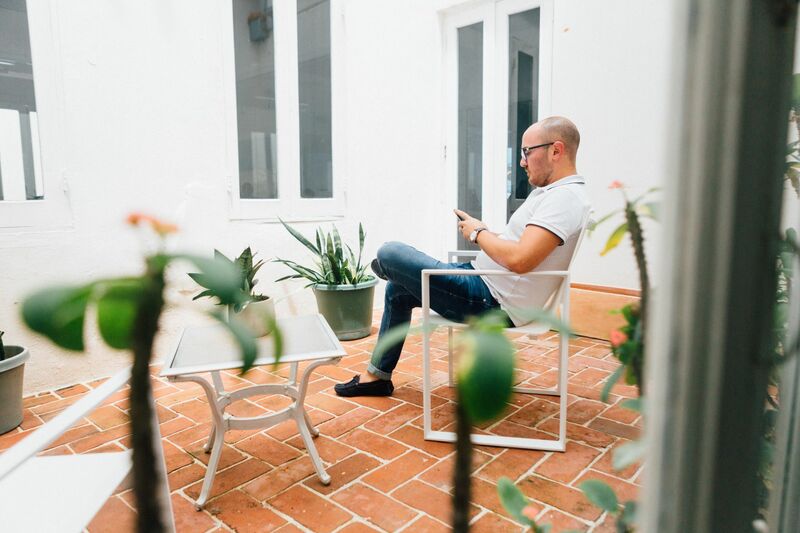 Everytime I go to Puerto Rico, Piloto 151 is my go-to-place to work or held a client meeting while sipping some coffee in their colonial patio. "You know it's a great place when you actually look forward to coming into work." I've been working from Piloto 151 in Old San Juan for almost a year and there are not enough words to describe how much I love this space. From the facilities, to the great people working from there, to the awesome staff, Piloto really makes the routine work week anything but ordinary. I can't picture myself ever going back to another office, Piloto has spoiled me forever. Plus you get to work in a historic neighborhood every day with amazing culture, delicious food, beautiful architecture... and those views... nothing can beat those views. It is truly a very special place. I have been working in Piloto151 for about a year now and honestly I have been to the other options around here and there really is nothing that can hold a candle within the price point. Sadly I wish there were more options but when it comes down to it if you want a good ambiance, super fast internet, and an attentive staff Piloto actually delivers where other just talk the talk. They also have two locations and one can jump from one to the other if needed and both locations have an electric generator. That last part is very imporatant given the fact that things are still not super stable and to have a stable functioning place of work at all times is a no brainer for me. No brainer that Danny rocks! "Top-notch co-working space - convenient, top location, great atmosphere!" We've been members of Piloto space in VSJ and now in Santurce for over 3 years, and we've had larger office spaces, virtual memberships, and the like - and we can say that no matter what --- they have always provided the best service, great and convenient facilities - and top-notch networking opportunities. The entire team is great, very responsive and fast, and they always take great care of all our needs in Puerto Rico. We constantly visit different co-working spaces within the USA and we can honestly say that Piloto is right there on the top of the list!!! Highly recommend!!! Visited with our company recently for a team corporate retreat. We had an opportunity to leave the office, take on a new environment and I loved Piloto! It is a Spanish colonial building, lovely contemporary artwork. The conference room was fully equipped and easy for us to set up and get to work. It helped us with our productivity to step out from the normal corporate offices. For our lunch and coffee breaks we got to walk around, do some shopping at Marshall's and local stores, have a tasty lunch at Casa Cortés (highly recommend the croquetas) and gelato at Chocolato. Old San Juan is a whole experience. 5 stars Valentina! You rock. "Five star world class place to work"
The architecture is world class, a combination of modern minimalism within a 200 year-old colonial building in the heart of Old San Juan. The service and the friendly staff is a plus. I tried other working spaces in Metropolitan San Juan but this one takes the prize by far. Added bonus is the three outside patios to find your quiet place to work, and just down stair is La Boutique du Vin for a lunch snack or after hours meeting place. The area within the walls of the city is full of shops and services, the closest thing to being in a European city. Thanks Hanna and Ana María for your dedication and professionalism. Visited the space recently because I needed reliable internet and a quiet space to concentrate. Even though getting into Old San Juan sound like a hastle because of the parking- it’s worth it. Everything is walking distance. Getting a quick bite to eat, drug store, coffee shops on every corner... so you can get back to work in a jiff. It is great for people like me who don’t need a private office, just a space to work from once in a while. Met great people, friendly staff, and RSVPed up for an event they are having next week on blockchain. Cool crowd! You owe us a visit Luis! This location in Old San Juan is absolutely beautiful. I love the tall ceilings, ancient archways, and classic black and white tiles. The surrounding area is also beautiful and extremely convenient (close to good, affordable lunch spots, coffee shops, and after-work bars). I went a few times as a walk-in and once to use a conference room for a big meeting. The staff was always super helpful and accommodating. Wifi was good and so was the coffee (although if they offer to make it for you, be sure to say if you'd prefer it without milk!). When I went, it was pretty quiet; so was a great space to concentrate, with a few friendly coworkers to get to know and interact with (mix of locals and expats). I love that they offer such flexible day packages! Definitely worth checking out! Gracias Cecilia! Hope you visit soon. 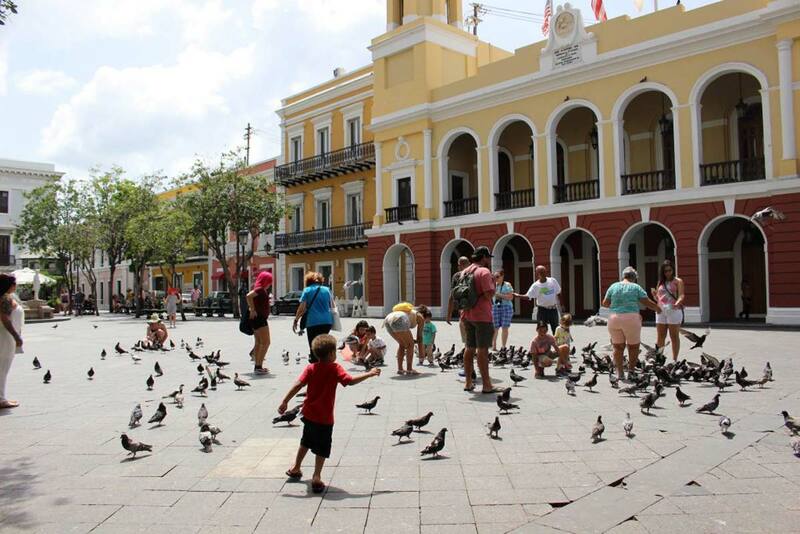 Old San Juan is a great area to live and work. Restaurants, banks, government agencies, and shopping are all walkable. Piloto 151 has reliable and fast internet, a great community of entrepreneurs to collaborate with, and just an inspiring space (modern art in an historic building) to just get to work. The local coffee is nice too. 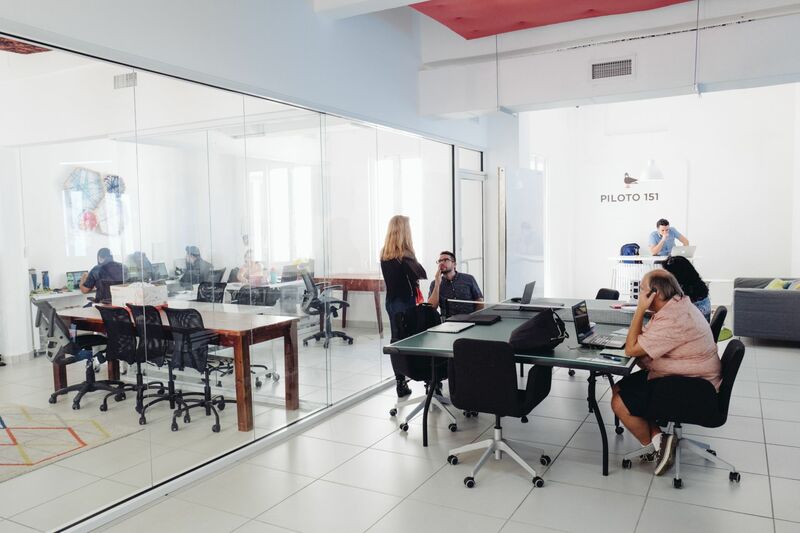 The staff is also friendly and helpful, and their new space in Santurce has a different style focused on private offices, but it still has the same feeling that promotes collaboration. I would recommend to any entrepreneur of freelancer to try it for a day with a day pass. You have to go up the stairs from the street level to find the space, which is much bigger than the stairwell suggests. pizza and beer free every Wednesday on "Hack Nights"
For those picky about their coffee, there's a small coffee shop called Café Poético... to the left from Piloto 151, go there. There are plenty of places to get a cup of coffee or meal in walking distance. Perfect place to work! Wendys next door has the cheapest food. Super Max has convenient all in one meals (includes soda). Ask the amazing staff- they know all the good spots! lote 23 for lunch, la placita for happy hour... If it gets better, you will have to show me. Next door to Alcaldia. A few blocks from Fortaleza. Above a winebar. Around the corner from a tapas spot. If you time things just right and pay attention to cruise ship arrivals you can get fed, buzzed and slake your thirst without burning too much clock. They bring tasty food and treats, happy hours, plus there is free coffee and water. It's been a wonderful network to have. Call Channa or Stephie, they are the best! Say hi to everyone, they’re extremely welcoming! This isn’t a place where you can come say after day and be anonymous. And that’s a good thing! The lore of Old San Juan works wonders. After a very stressful day walk to El Morro around suset and the day just magically washes away. Old San Juan itself is the crown jewel of all of Puerto Rico, take advantage of it, exploring the small streets, art galleries, lunch and dinner places at very reasonable price. Favorite lunch spot: Stuffed Avocado. You can order online and they deliver. I love El Mesón for a quick, affordable lunch with local food - literally right next door. There's also a stuffed avocado place nearby... super yummy. Piloto 151 Old San Juan too? Piloto 151 Old San Juan will be in touch with you soon to confirm. Piloto 151 Old San Juan has received your membership enquiry and will be in touch with you soon.